Do you use Mobile devices to recruit for your home based business? Is your network marketing efforts blended with any mobile recruiting strategies? Are you up on the different mobile secrets to recruiting? Mobile Devices have become incredibly popular worldwide today due to the explosion of smartphones. There are more people in the world with cell phones than toilets! Are you taking advantage of this new evolving technology? I have done a lot of research and am surprised at the lack of awareness of mobile potential in recruiting in direct sales and network marketing. Even with mobile advertising, it has so much potential it is staggering. But the majority of the distributors and consultants are not using mobile for recruiting at all. Amazing considering that you can be one of the first to truly utilize this and be ahead of the curve. Are you aware that everyday there are BILLIONS of texts sent to people? It is called “SMS” or “Simple Message System.” You probably have texted, and know what I am talking about. I use texting daily and more now than I do talking on the phone as it gives me a record of conversations and texts. It works well for business. what if you used texting or SMS for recruiting in your business? It would be amazing as the average text is opened 90 seconds after it is received. By the way that is 97% of ALL texts are opened within 90 seconds. So….what can you do to send an SMS message to people? I would suggest get an SMS platform and check it out as far as mass messaging. No, I am not talking about spamming people. I am talking about sending out SMS messages with tips and video links, to a lot of people, and even people that are looking for a home business. There are 3 major SMS platforms that I have talked to a lot of mobile gurus about, and I wanted to share them with you to check out, and see if they would work for you. There is a cost to each per SMS message, but actually it is quite cheap- pennies. So it makes it highly affordable! Twilio is one of the best platforms I have seen for mass messaging as the technology is stable and sound and powerful, and the cost is amazingly low. And they have great support as well as training if you need it. We have used it and it really does work well, and gives you a lot of flexibility as far as how you use t.
This is another great option. They have a very powerful system for SMS and also for other things as well. Their pricing is very good and they have good support as well as some training for usage. They are growing wildly like Twilio is. Again we have used it and it works well! Lime Cellular is a cute name but they have a robust and powerful platform as well. They have a lot of features and also a powerful option packages for other services. It is a powerful and robust platform that a lot of people are using and it gets the job done amazingly. These are 3 powerful SMS platforms that you can use for Mobile Recruiting for your mlm network marketing home business. PLEASE leave a comment below and tell me your thoughts! Are you Daily thoughts Poisoning Your success? MLM Mobile Recruiting and Marketing. Do you use your mobile device for your home business? Do you use SMS for texting for your network marketing efforts? Are you aware how powerful mobile recruiting is for mlm? 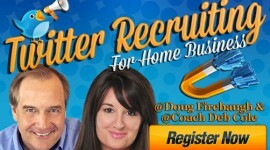 I had the great honor of interviewing a # 1 Corporate Recruiter in the nation about recruiting using mobile devices. It can be applied as well with a home business and online marketing. S stands for Scott, D stands for Doug. The interview took place at a country club during summer of 2012 This starts in the latter part of the interview and Scott has been talking about social networking. D So let’s talk about what you call one of the most powerful Recruiting phenomenon in Corporate Recruiting- Mobile Recruiting and Mobile Marketing. Think Mobile Marketing has a prayer for success? if done correctly, Mobile Recruiting can accelerate the process of recruiting a tremendous amount. Everywhere I read as well as my industry’s experts, all say that this is the coming wave and they all are saying to get on the band wagon. It ACCELERATES the Recruiting process and can create a real connection unlike most other paths to recruiting. People look a their mobile at least 15 times a day. How would you like for YOU to be in their phone every time that they look at it? Would that give you an advantage? D You have been mobile recruiting now for what? 3 years? S Yes, 3 years. And it really has made a difference in my ability to stay in touch with my candidates. Connection is so important in recruiting and it helps me stay more connected as it gives me an extra “Power Reach” as I call it. Let me explain. Mobile recruiting gives me the power to reach my clients in a way that was not available even 4 years ago. I call it “Mobile Glue” as it really does keep you glued to their mind with a mobile recruiting program. It does what I call “Explodes Your Reach” and that is what I want to happen in my recruiting strategy. It allows me to also reach those potential candidates with a channel or technology that they are used to looking at literally up to a hundred times a day. We use SMS, Mobile Media, and other mobile tactics that allow us to move the prospect forward into the recruiting flow. Mobile Recruiting is a more powerful connection power than email or even social networking. It gives me entrance into their daily routine and it is so much more powerful to meet them where they are versus chasing them via the phone. I have numerous candidates that right now have been doing all of their job searching effort via their mobile devices as it is so much more convenient. Now let’s be real, that is a smaller percentage than those who we have connected with via job boards, monster, hotjobs and those kind of job sites. But we have a growing percentage of those that ask for a text or text them a link or a corporate video to the company website they might want to consider. mode and not one of the ol fogey corporate recruitment firms. There are many of them out there as well as more traditional home business companies. I am going to make a prediction: If a company within the net 18 months does not embrace mobile recruiting and mobile marketing, they will be left behind in the dust. I promise you that as they will be playing catch up for a long time. If you want to stay in a more “personal touch” as the prospect carries their mobile on “their person,” and that is much more powerful communication as well as more intimate and personal. It truly is a great way to “get an edge” on your prospect, and set yourself apart. These are wise words of advice from a # 1 Corporate Recruiter in the nation on Mobile Recruiting for your mlm network marketing home business. 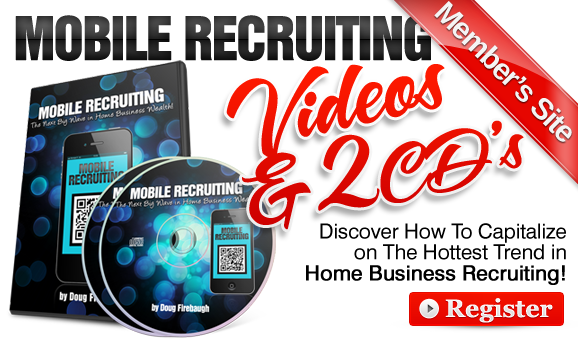 What do you think of Mobile Recruiting for your home business? Do you own a smart phone for your mlm business? How would you start the recruiting process using a mobile in your network marketing or direct sales business? I believe that Mobile Recruiting will become the single most powerful way to recruit in a home business within the next 5 years. 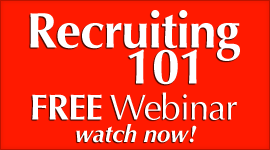 We have done Mobile recruiting webinars, and coaching as well. Mobile Recruiting is going to be HUGE. D But you have been mobile recruiting now for what? 3 years? S Yes, 3 years. And it really has made a difference in my ability to stay in touch with my candidates. Connection is so important in recruiting and it helps me stay more connected as it gives me an extra “Power Reach” as I call it. Let me explain. Mobile recruiting gives me the power to reach my clients in a way that was not available even 4 years ago. It allows me to also reach those potential candidates with a channel or technology that they are used to looking at literally hundreds of times a day. This allows me more connection power than email or even social networking. It gives me entrance into their daily routine and it is so much more powerful to meet them where they are versus chasing them via the phone. I have numerous candidates that right now have been doing all of their job searching effort via their mobile devices as it is so much more convenient. Now let’s be real, that is a smaller percentage than those who we have connected with via job boards, monster, hotjobs and those kind of sites. But we have a growing percentage of those that ask for a text or text them a link to the company website they might want to consider. There are many of them out there as well as more traditional home business companies. I am going to make a prediction: If a company within the next 18 months does not embrace mobile recruiting and mobile marketing, they will be left behind in the dust. I promise you that as they will be playing catch up for a long time. D: What do you think is the most important element in Mobile Recruiting? S: Oh that is easy. Strategy. 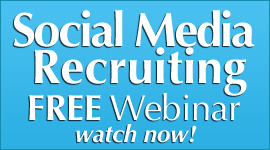 You must have a cohesive marketing and recruiting strategy behind your mobile recruiting. You must have PLAN that works and works every time. I have a plan with my mobile recruiting and it is a pretty simple plan. 1. P stands for PUSH. candidate in the making for a company I represent. 2. L stands for LOOK. will grab their attention as well. 3. A stands for ACTIVATE. some kind starts that process. 4. N stands for NAVIGATE. scenario I would think this would be an introduction to the business. These are what I do daily. Mobile recruiting is much like fishing. But you must have a lot of lines in the market and once you get a strike, you will find they are already in the recruiting process with their mobile device. 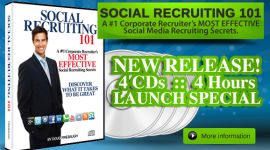 D: Do you think that Mobile Recruiting will be as big as recruiting on social media? S : Yes, I do. It will take a couple of years to create a solid marketing and recruiting model, but once it has been solidified, it could very well take over the social media recruiting frenzy. D: Ok, here is an obvious question: why do you think that way? S: Oh that one is so easy to answer. Speed. The pace of recruiting with a mobile device is so much faster then social networking. On a mobile, you have the prospect in the recruiting process within seconds. With social media it could take a week or 2 or longer. There is certainly a LOT of recruiting going on in social media, but speed can hinder to some degree. The pace of mobile recruiting as far as getting them in the recruiting process can be as fast as lightening. The mobile user is use to opening up a text quickly, and if they opt in for a free ebook, then you have them in the recruiting process within seconds. THAT is much more appealing to the younger generation as they operate at that pace. believe is THE secret to mobile recruiting success? question. Hmmmmm….<thinking> Doug, I would say if there is one thing that really matters- it is IMPACT. Your message and mobile website must create a visual and actional impact that will get the prospect to DO something and not just click away. It needs to be visually appealing and full of hope. I think it should ask a question and also LEAD them somewhere. That is the real thing that people are looking for. Often, people want to be lead down a path and if you have an impact-ful mobile site, then you will find them engaging that site right off the bat. I always ask “Are you looking for a job or for a secure high paying future?” I would suggest that might be something that your people may use. But say it like…hmmm…”Are you looking for a high paying future of more of the same thing you have now?” These are the type of things that pull people into your website. I would also suggest that they ask, “Are you looking for a high paying secure business from home or more of the rut you are in now?” I know. That is a bit blunt, but you must sometimes be blunt to get their attention. And one more would be, “ Are you satisfied with where you are career wise or would you be open to a high paying future that you control and manage?” This is what I believe would work, and I have been recruiting for a while as you know. I hope this will help your readers and folks. Those are rocking hot! Thanks for sharing those golden nuggets bubba. These are powerful MLM Recruiting secrets using a Mobile for your mlm network marketing home business! Do YOU understand how RADICAL the Mobile Lead Generation Storm coming is going to be for your network marketing home business? How would you like to have a million eyeballs look at an ad you ran for your home business- for pennies a day? How would that impact the number of leads you are getting a day for your mlm direct selling business? There is so much out there about PPC (Pay Per Click) and PPV (Pay Per View) but what will DWARF that in the next couple of years is Mobile Lead Advertising and Generation. It will be bigger than Google and facebook ad impact- COMBINED. What would THAT do for your network marketing home business? Here is a great post from the Mobile Sniper that I wanted to share with you. It really is applicable to the home business profession. I think that it may just open your eyes to the potential of the incredible Mobile Lead Generation storm coming! Allow me to be as bold when i are able to be: if you’re running an internet business and also you need leads visiting you daily, cell phone marketing will stun you using what has become possible. STUN YOU. Shock YOU. Drop your Jaw. Fifty million people are travelling with this smart phone searching for things to look at, purchase, and often to connect with. Truly this is a game changer. The greatest brands on the planet (Home Depot, Pepsi, American Express) have experienced the mobile possibilities that are before them and also have engaged mobile in everything they do, as both Apple and Google have introduced that they’re both “mobile first” companies now. Cell phone marketing for companies of each and every size allows for effective mobile marketing prospecting. Whether you decide to pursue all this mobile advertising by yourself, or else you elect to choose a mobile marketing company, now you can buy very inexpensive clicks from mobile marketing platforms and steer that traffic right to your house page. So how exactly does 6 cents a click seem? But wait, it will get much more impressive than that. With an excellent mobile advertising services company, you can (and really should) design ways for your visitors to be incentivized into providing you with their emails in return for something of worth just like a free report of the downloadable coupon. Instead of delivering that traffic to your home page for any look, why don’t you place them right into a “sticky marketing” chance by developing a mobile landing page and providing them with something of great perceived value? That’s the way the 6 figure per week earners do it. Like they already know marketing on cell phones is really a process not really a sniper shot. You have to invite people to your message by providing them something of great value after which allows them to learn more and more about how exactly you conduct business. 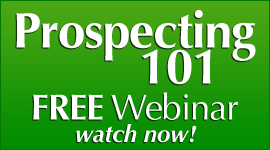 This alone will change everything you knew about prospecting. 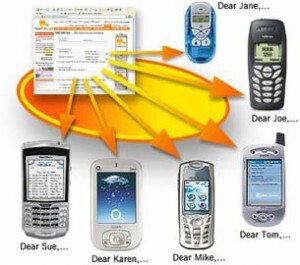 Mobile Lead Generation is the biggest thing coming and will dwarf all advertsing in 5 years. Will YOU be a part of that or will you miss this prospecting gold mine too for your mlm home business? You get the picture. Mobile Marketing and Recruiting for MLM home business I believe will be much like the QR Code. 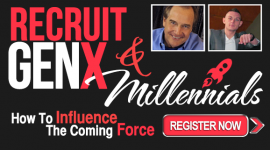 It will be a GAME CHANGER for marketing and recruiting in network marketing. People today have G4 iphones and droid phones, as well as blackberries. They also have ipads, notepads, this pad and that pad. I have taught and coached Mobile Recruiting and marketing to our Private Clients for over 2 years and it has been quite dramatic in seeing our clients obtaining good results. You can too if you choose. Mobile marketing and mobile mlm recruiting is in it’s INFANCY. It is NOT mature as a marketing model, and there is much to be learned and put together. But in the overall picture, Mobile marketing and recruiting for your home business could be one of the greatest tools and tactics that has come down the pike in a while. What makes Mobile MLM marketing and Mobile recruiting so powerful for your home based business? 1. 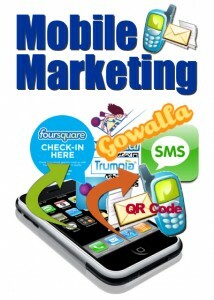 Mobile Home Business Marketing Accelerates TIME and Quickness in the Prospect’s Response. The new technology will quicken the pace of marketing and recruiting. It will give you power of being able to do business in a way that will speed up your results as well as actions. 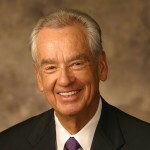 It will give you leverage that you have not had before on your cell. And it will give you more CONNECTION with the prospect from the very beginning. 2. Mobile MLM Marketing and Recruiting will MULTIPLY your Presentations. Mobile MLM Marketing and Recruiting will MULTIPLY your exposures of your business just off the sheer volume of possible exposures with the “4th screen.” Tt will allow you to do hundreds of exposures at a time but unlike “funnel marketing” or “squeeze pages,” it will be more PERSONAL. Mobile MLM Marketing and recruiting will allow you also to have “instant presentations” that can also increase the number of exposures dramatically. This happens through the different actions that you take in Mobile MLM Marketing and recruiting. 3. Mobile MLM Marketing and Recruiting create IMPACT for the prospect. 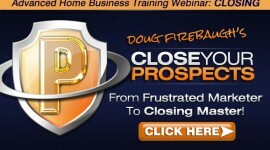 Impact is critical to home business recruiting and prospecting. Mobile MLM recruiting will create a visual impact as well as EXPERIENTIAL Impact as most prospects will not know or be familiar with this kind of marketing. Impact will come from your websites that you market to them on their phones. Impact will come from Mobile Local and being able to meet them in person. 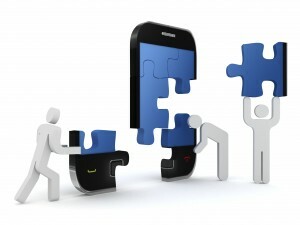 Impact will come from Mobile social as you create a social network of mobile prospects with Mobile marketing. Impact will also come from QR Codes that may change everything about mlm mobile recruiting and marketing. 4. Mobile MLM Marketing and Recruiting can be put on Auto pilot. This is one of the greatest part. Mobile mlm marketing can be put on auto pilot with software, and you walk away from it and count your leads. This is something that can change your ability to recruit nationwide- in hundreds of places and cities- all at the same time mobile wise. This is a Game changer time and I do mean game changer. Soon we will have a very extensive training resource on Mobile MLM recruiting and marketing. It will be out soon as well as the QR Code Recruiting resource as well. I would suggest you GAME UP on the success tactics of Mobile MLM marketing and recruiting. The impact will be enormous in the next year on your mlm home business. 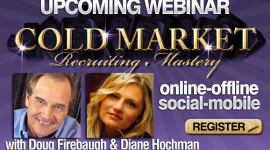 Social Recruiting in Network marketing? READ THIS! 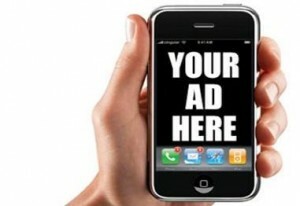 Mobile Marketing Is Here- Here is an Example! Why Should You Care About Mobile Marketing NOW!